Retreats hold a special place in my heart. As a junior high student, I enjoyed the high energy retreats of my Catholic elementary school that fired me up about my faith. As a high school student, retreats moved from an external experience that created a short-lived high to an internal experience that created longer-lasting impact on my relationship with God. It was the more contemplative retreats of my high school years that fueled my passion for retreat ministry. And it is a ministry that I became actively involved in as a senior in high school and continued to remain involved in through college and now into my young adult years. Witnessing God work in people’s lives on retreats, I am reminded of St. Ignatius’s instructions to the director leading another through the Spiritual Exercises, “Therefore, the director of the Exercises”¦should permit the Creator to deal directly with the creature, and the creature directly with his Creator and Lord” (SE 15). Whether I am facilitating a retreat or working as a spiritual director, it is gift to watch God’s graces unfold in a person’s retreat experience and to watch the Holy Spirit move and stir within a person’s heart. The retreatant’s time of silence with God is powerful. In the silence, God finds us and wells up from within to deal directly with us. My role is simply to listen and to watch the magnificent unfolding of God’s plan for that person. Ever increasing my own faith as I watch God work in others, I witness people experience intense healing, a new ability to surrender, and clarity of direction. I witness people open to God’s love for the first time or God’s love sweeping over a heart, turning it fully to Christ. Often, God lets the retreatant know what is getting in the way of a deeper relationship with God. St. Ignatius had it right: God most certainly works with the limited time God has with a person on a retreat! 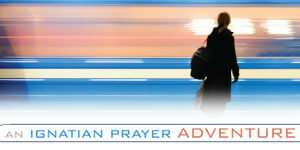 This intimate time with God on retreat, while often short, creates long-lasting impact on our relationships with God. I went to Catholic school right up to grade 12 and the only retreat that ever happened was in 8th grade, before confirmation. I attended a couple of church-based retreats as a younger adult. I never experienced anything like you describe. I never felt God’s love or God’s presence. I never got “fired up”. God never found me. Others seemed to get something out of it, other adults I mean. The 8th grade confirmation retreat meant nothing more to us kids than a chance to be out of school for the day and goof off, nothing “spiritual” about it. As for the retreats I attended as an adult, I got nothing out of them whatsoever. As I said, others seemed to. Others gush about how wonderful and life-changing it was and I think to myself “what?” I’d like to experience God in the ways you describe, but I never have. I will tell you that I am a very guarded person. Maybe I’m just incapable of giving myself to an experience like others can and taking from it what they can take. The role of retreats in my spiritual life has been extremely important. Ignatian retreats, in particular, have had a lasting impact on my relationship with God because it is in the silence that we make room for God to speak. I do not hesitate to say that Ignatian Spirituality has opened the door to me for a closer walk with God than I had ever imagined possible. Thank you to Becky for this post and thank you to St. Ignatius for the practical tools which we use every day to remain close to God.